Happy belated Thanksgiving everyone! Now that it's officially Black Friday it's time for us to channel our inner crazy-shopaholic and get the best deals possible am I right?! So to help, I've rounded up some of the best sales going on (both online and inspires) with a few suggestions on what to purchase where. First lets start with online, then move to in-stores. The lists are organized by importance (basically I organized it based on which deals I thought were best). I've been updating the list everyday so it should be current! I'm first going to start with iDeal Of Sweden, not only because I think it's one of the best deals out there, but also because I want to share my thoughts with you on their bomdotcom phone cases since many of you may not have heard of this brand yet. 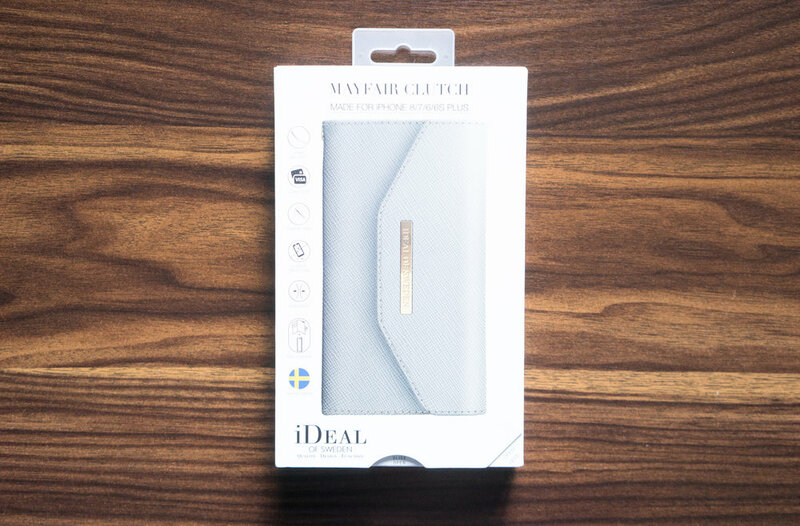 iDeal Of Sweden has a vast collection of trendy phone cases for almost any iPhone and Galaxy out there. But what makes them different? That would be the magnetic compatibility that their cases share with each other. Take for example the Mayfair Clutch, featured in both light grey and black (for the iPhone 8 Plus) in the photos above. 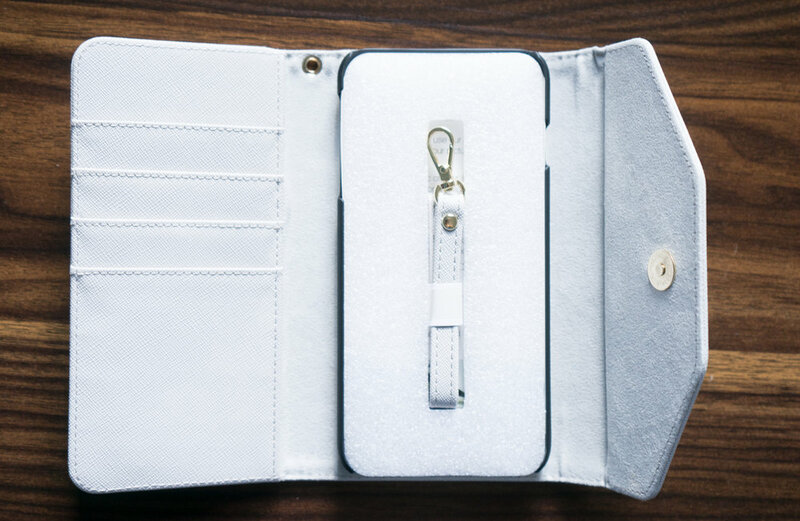 This clutch comes with an all black phone case magnetically attached inside. But the clutch also works with any of the other iDeal Of Sweden hard cases, such as the Black Reptile, also featured above. 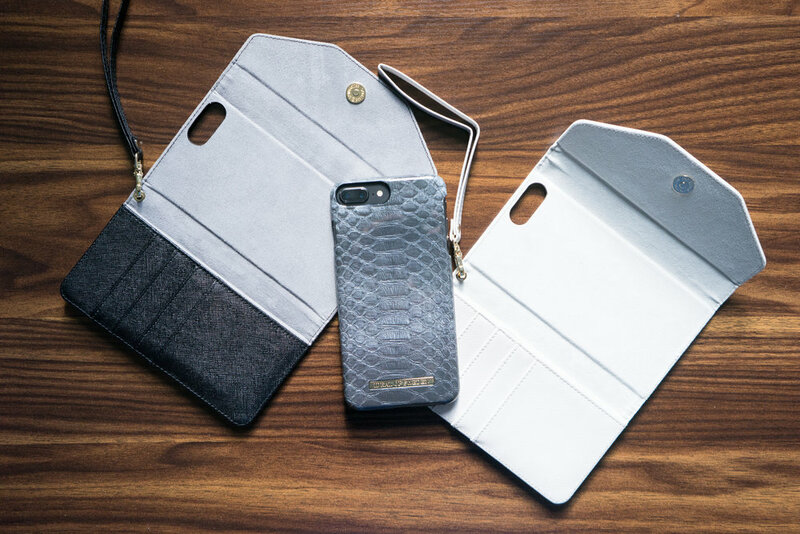 This means you can customize any wallet/phone case pair that fits your style for the day with these easily interchangeable phone accessories! And now's the time to buy because it's the best price I've seen these cases for all year. I'm linking up some of my favorites below! Kate Spade is by far one of my favorite handbags but I always wait until Black Friday to purchase from them because the sale is always incredible. The Kate Spade website is now offering 30% off full price items and 40% off sale items. But I still think to get the best buy you should find the closest Kate Spade Outlet store (most of which are offering 70% off your entire purchase). I've never a huge fan of Coach, that is until I saw their latest collection! Some of these new styles are currently discounted up to 50% off! Also may I suggest taking a peek at my two favorite Coach designs? Click here for pick #1 and here for pick #2. But keep in mind that most Coach Outlet stores are offering 70% off your entire purchase so you might want to hit up the closest one to you first! I love me some Dagne Dover! I own their Classic Tote in Onyx which I adore, but now I have my eye on their new Andra Crossbody and I'm thinking now's the time to buy since there's rarely a sale for this brand. This is one of my favorite footwear brands as you might be able to tell by the number of times I've featured them on BTFL. They're offering 50% off select styles, and 20% off everything else. I'd call that a win especially since their prices are already quite affordable to begin with. With the Winter season upon us, and Spring rain coming after that, I highly suggest investing in a pair of waterproof Bean Boots. I own the 6" boots and they're incredible. I got mine a few years ago (although I paid full price at the time) and they're still in great shape. L.L. Bean rarely has a sale so I'd jump on this offer right now! The New Balance website offering 25% off + free shipping right now. But what's more is that most of their outlet stores are offering 50% off everything and a $20 coupon to use on a future purchase for every $75 you spend today. A current NB favorite of mine is the Fresh Foam in Lush if you're looking for a suggestion! I have this under apparel but it really should be under something like "All Life Goals" in my opinion. From their apparel, to footwear, to home goods, it's hard to find something that I'm not totally in love with. Anthro is pretty expensive though so I usually go strait to their sale sections which always has some great items. And I'll be taking that extra 30% off thank you very much! I love J.Crew but I tend to hit up the factory stores first especially since some of the J.Crew items can end up in the factory store clearance section for a fraction of the original price. Both the J.Crew Factory website and physical stores are offering 50-60% off everything and that includes clearance! Meanwhile, the official J.Crew website is also offering a pretty steep discount - 40% off you're entire purchase! I own quite a bit from this online shop so I know first hand that it's not only a safe website to purchase form but you're also getting great products for unbeatable prices. Right now their offering 20%-40% off their already affordable items and free shipping with purchases of $79 or more! It's always good to have some classic, elegant ensembles in you're wardrobe and my go to for that kind of thing is usually Loft! I generally find better deals in stores though so I'd suggest visiting the closest one if you're up for going out today. I don't personally own anything form this brand (YET!) but they have an incredibly vast collection of trendy apparel (+ accessories). Like how freaking cool is this coat? And it'd be under $50 with the Black Friday discount?! Yes please! An extra discount off clearance items is honestly my favorite type of sale. So I'm pretty stoked about this one. Again, I've got Nordstrom Rack under apparel, but their clearance section encompasses a lot more than just clothing! Walmart is offering some incredible deals today on electronics, the best of which in my opinion is the sale on the Google Home Mini! This aesthetically pleasing smart speaker is usually $49 but today it's only $29. You also get an extra gift with this purchase -- $25 off your next Walmart purchase when you order through google express. You're basically getting the Google Home Mini for $4 at that point. Clearly I'm all about this purchase, seeing as I made it myself last night at midnight. There's two color choices by the way, chalk and charcoal. I personally liked the charcoal better so that's the one I went with! While Macy's has a lot of great discounted products right now, I'd like to point your attention to the fact that they're selling the Apple Watch Series 1 for only $179! That's the cheapest I've seen that model. I love my apple watch so I only have good things to say about it. I have the series 2 though, which I have listed below. The major difference between the models is that the Series 2 is water-resistant up to 50 meters, whereas the Series 1 is not. Best Buy is one of the best places to look for sales on electronics. This is where I purchased my Apple Watch Series 2 from last month for $229. Best Buy randomly had the watch on sale for like a day and I snagged it. I haven't seen the price drop that much since then. But right now, Best Buy is still offering the lowest prices out of any other store for this model. Sales have been updated! Wishing everyone a safe and fun holiday weekend! Oh and if you'd like to make any suggestions or want to add to the list, just drop a comment below!